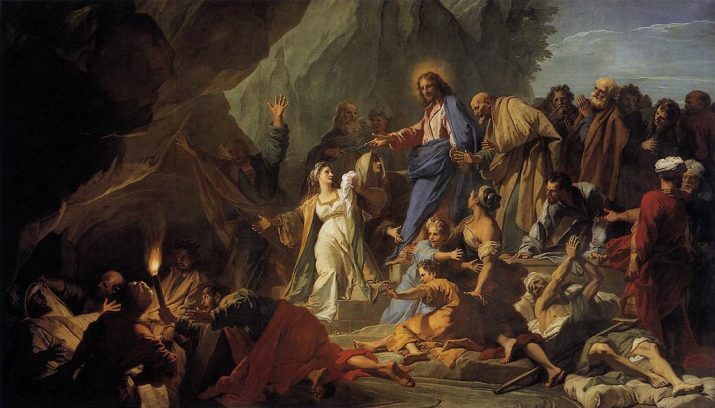 For Christians, Holy Saturday is the strangest day of the year. 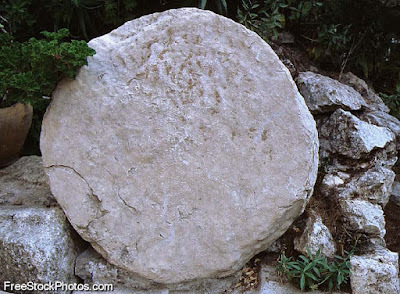 It is the day we commemorate Jesus's body lying the tomb while he descended into hell. 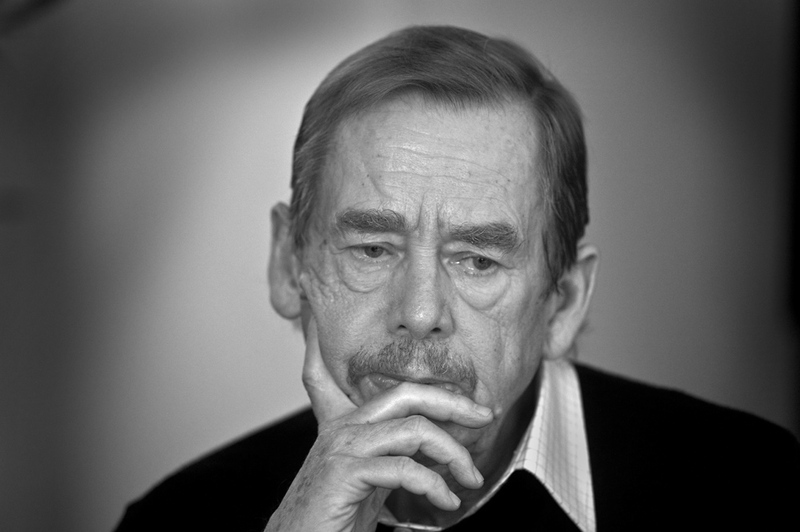 His descent into hell, which was the subject of a very intense theological debate several years ago, is part of our redemption. It can and, at least in my view, should be taken as part of the Lord's passion. 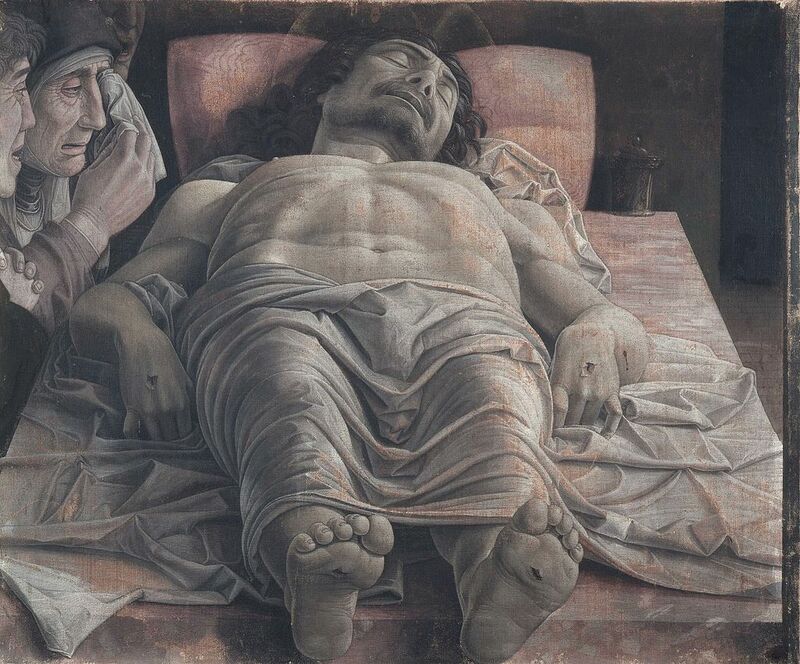 The intense debate over the phrase in the Apostles Creed, "he descended into hell," was prompted by a young theologian's critique of the Holy Saturday theology of Hans Urs Von Balthasar. 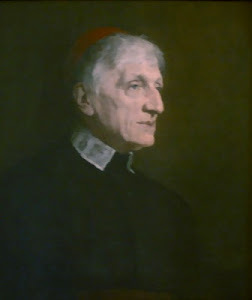 Balthasar, along with Henri De Lubac, Marc Chenu, Yves Congar, and others, was one of the theologians responsible for what came to be known, prior to the Second Vatican Council, as la nouvelle théologie (French for "the new theology"). The overarching effort that united these very different theologians was their desire to go beyond, or even overturn, that very stale non-theology, the so-called neo-Thomism, which was the order of the day. All of them paid a price for their attempts. The primary thrust of their theology was what came to be called, again in French, ressourcement, or a "return to the sources" of Christian faith. Their work prompted a patristic revival that is still on-going. In fact, Balthasar, with his anthology of the writings of Origen, entitled in the original German Origenes Geist und Feuer (the English translation is Origen: Spirit and Fire), was single-handedly responsible for retrieving Origen into Western Christian theology. Thirty years after his death, he remains highly influential and will remain so for a very long time. Balthasar points to Nicholas of Cusa as one who understood Holy Saturday in terms of the, or "a', passion, seeing it "as forming part of the vicarious Passion properly so called" (170). Balthasar, rightly, in my view, sees Holy Saturday as the origin of both Purgatory and Hell. I do not wish to delve into complex and contentious matters in-depth in this post. 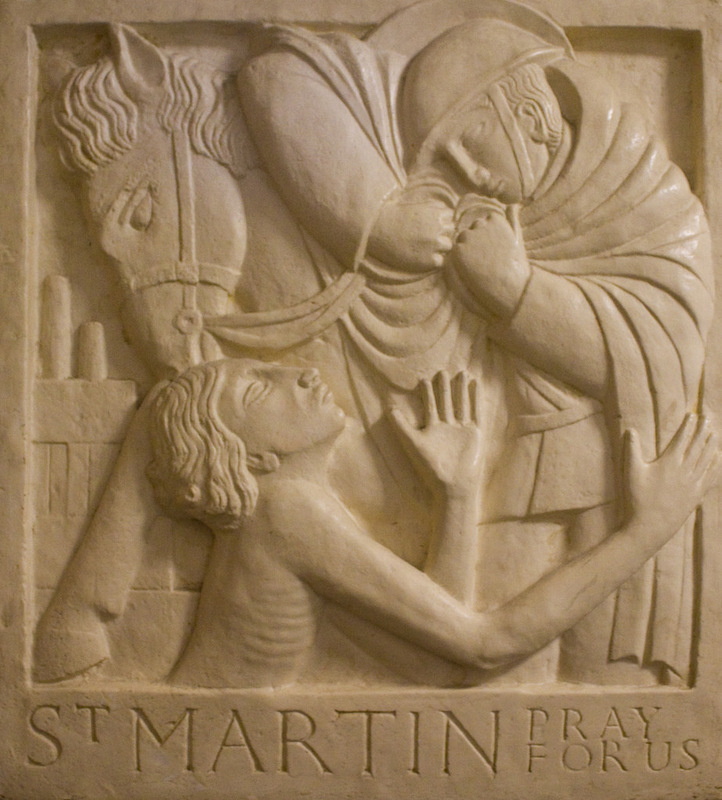 I only want to note that this day on which the Church celebrates no baptisms, confirmations, Masses, weddings, or ordinations (except in cases of someone who is in imminent danger of death receiving the sacraments of Christian initiation) is usually the forgotten and overlooked day of the Triduum, despite being of vital importance for our salvation. "Triduum" means "three days." By our participation in the Mass of the Lord's Supper on Holy Thursday and the liturgy of Good Friday, we are able grasp, or at least grapple with, these mysterious aspects of our redemption. But Holy Saturday is easily forgotten and so not grappled with. This is where the Lirurgy of the Hours can play a vital role. We are to pray the offices on Holy Saturday. By by so doing we can ponder more deeply the mysteries revealed to us on this Saturday we call "Holy." Tonight, we enter what for Christians are our high holy days. The Mass of the Lord’s Supper marks the end of Lent and the beginning of the shortest season of the liturgical year: The Triduum. It is important to note that at the end of our Mass this evening there is no dismissal. 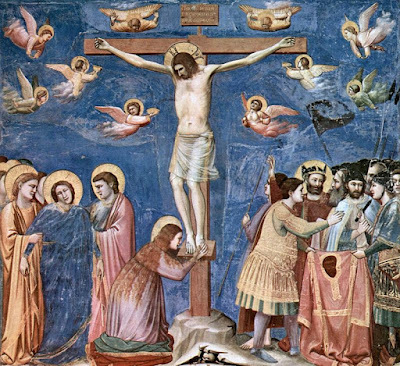 As a result, when we gather tomorrow to commemorate the Lord’s Passion and to venerate His Holy Cross, there will be no opening rites – no greeting, no penitential rite and certainly no Gloria. We will begin simply, by praying the Collect for Good Friday. At the end of our Good Friday liturgy, again, there will be no dismissal. 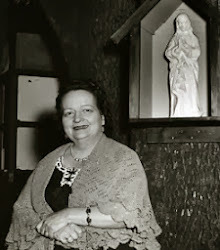 In fact, we won’t be dismissed until the end of the great Paschal Vigil, the Mother of all Masses, on Saturday evening. What does this mean? It means that from then until now we are to remain in what we might call "a liturgical state-of-being," praying about, pondering and seeking to let Christ draw us more deeply into the Paschal mystery of His passion, death, and resurrection. Jesus is the true Lamb of God whose blood saves us from sin and death. His passing over from life to death is the true Passover, as is indicated in St. John’s account of the Last Supper, which was the Passover meal the Lord shared with his disciples before his passion. During this Passover meal, Christ instituted the Eucharist. At the end of Mass this evening, like Jesus' first disciples, we will leave the table and accompany Jesus out. Unlike those disciples, however, we do so in the awareness of his resurrection, which makes our procession solemn but joyful. In St. John’s account of the Last Supper, Jesus washing the feet of his disciples is the Eucharistic institution narrative. In other words, St John’s Gospel does not contain an account of our Lord taking bread and wine, breaking the bread, blessing the cup and then giving them to his disciples as his body and his blood. We find those accounts of the Last Supper in the Synoptic Gospels of Matthew, Mark, and Luke- those are the accounts to which St Paul refers in our reading from 1 Corinthians, which was likely written some twenty years before any of the canonical Gospels. Jesus told Peter, “Unless I wash you, you will have no inheritance with me” (John 13:8) As with Peter, by the power of the Holy Spirit, Jesus washed us in the bath of Baptism, which is Baptism into himself, the living water. Because we were bathed in Baptism, we are, by God's grace, “clean all over” (John 13:10). Nonetheless, our feet become dirty as we journey through life. Undaunted by our failures, shortcomings, and betrayals, Jesus humbly washes our feet over and over again. How does he wash our feet? By forgiving us in the Sacrament of Penance, which is an extension of Baptism. He also washes our feet by making himself small for us and vulnerable to us in the Eucharist. It is by humbling himself and becoming small for us that he shows us his greatness. In addition to celebrating our Lord’s institution of the Eucharist, which is the sacramentum caritatis, the sacrament of love, tonight we also celebrate the institution of the priesthood. When celebrating the Eucharist and the sacrament of penance, a priest acts in persona Christi captis, in the person of Christ the head. By contrast, the assembly at Mass or the penitent in confession acts in persona Christi corporis, in the person of Christ the body. A body without a head, or a head without a body, is dead. In case you’re wondering, a deacon acts in persona Christi servi, in the person of Christ the servant, serving body and head. 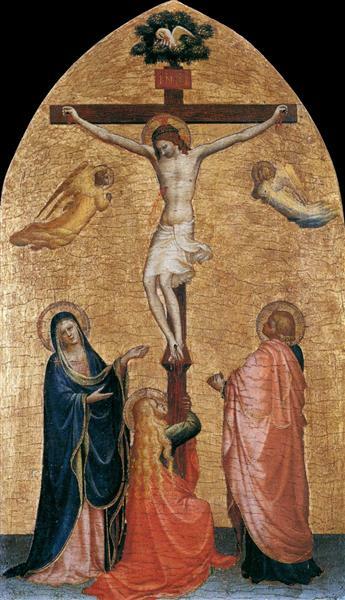 All of us together form what St Augustine dubbed the totus Christus - the total, or complete, Christ. It’s important for us to grasp that what we’re doing over these next three days is vitally important. It can never be a matter of going through the motions, of empty ritualism. We need to be open and so allow our hearts not only to be touched but changed. God wants to change our hearts by healing them with His love. “God is love” (1 John 4:8.16) God can be love because God is Father, Son, and Holy Spirit. Love requires at least a lover and a beloved. Because love is profuse, meaning love moves outward to draw others in, the love between the Father and the Son is personified in the Holy Spirit. With reference to our first reading, God delivered Israel from Egypt out of love, not just for Israel, but for all of humanity in fulfillment of God’s promise to Abraham that through his descendants all peoples of the earth would be blessed (Gen 22:18). Christ washed the feet of his disciples and urged them to do the same for each other out of love, not out of obligation. Tonight, Fr. René will wash the feet of people from our parish who represent all those he is called to serve, performing for them and, by extension, the rest of the community, the humblest act of service. The sacrament of orders, consisting of the offices of bishop, priest, and deacon, is about selfless service, not power. This is why in our Psalm this evening we heard the words, “Precious in the sight of the Lord is the death of his faithful ones.” You see, the way to resurrection is through the Cross, not over it, around it, or underneath it, but through it. The Lord bids all who accept his kind offer - “Take up your cross and follow me” (Matt 16:24; Mark 8:34; Luke 9:23). 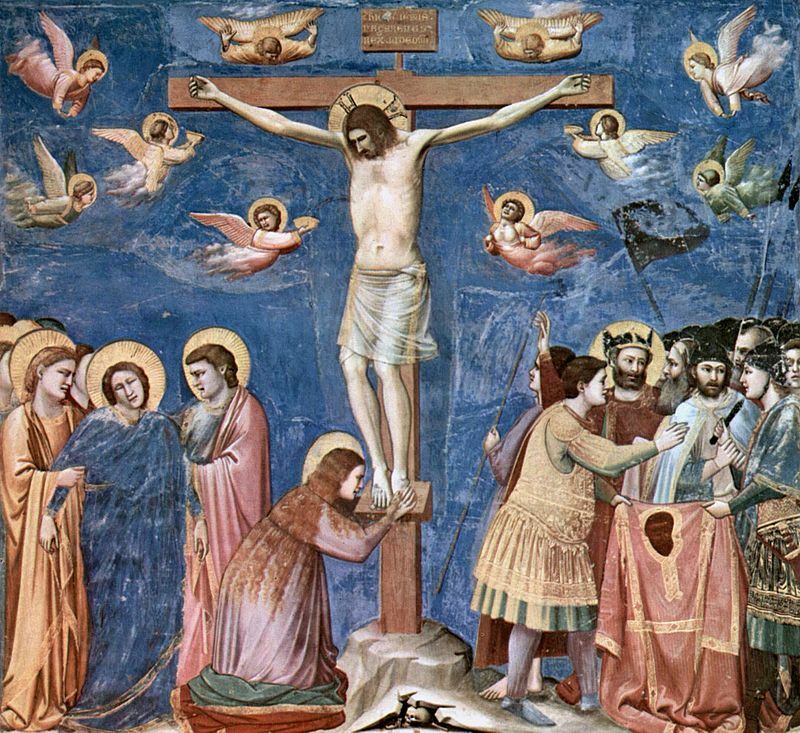 Jesus’ passion and death show the truth of Fr. McCabe’s pronouncement. As a result, this sacred Triduum is about self-sacrificing love to the point of death or it is about nothing. Because the Triduum is about divine love, it is not about what we can or should do for God. It is about what the Father has done for us in Christ by the power of their Holy Spirit: “In this is love: not that we have loved God, but that he loved us and sent his Son as expiation for our sins” (1 John 4:10). 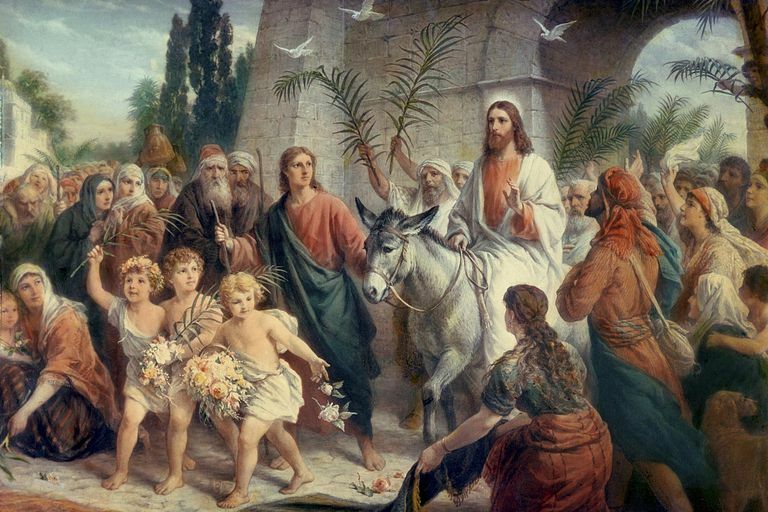 Last Sunday, which was Palm Sunday, I started my weekly reflection on the readings but I did not finish it. The reason I did not finish is because I just had too many other things to do. I thought that during these last few hours of Lent, as we approach the Triduum, I would post my incomplete reflection. If the Gospels are the heart of the Scriptures, that is, of the Bible, then the Passion narrative constitute the heart of the Gospels. 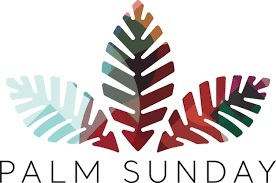 This year is Year B of the Sunday lectionary, which means that St Mark's Gospel is featured throughout this year, including today, Passion, or Palm, Sunday. It bears pointing this out because Mark's Gospel is most likely the first of the canonical Gospels to be written. What, chronologically, comes towards the end, the Passion narrative, is really at the center of this Gospel. To give just one example of this I will point to Simon, the Cyrenian, who was pressed into service by the Romans in order to help Jesus carry the cross. It seems clear that Simon was one of Jesus's followers. Whether he was a disciple prior to his encounter with Jesus on the via crucis or became as a result of that encounter we do not know. It seems more likely to me he was one prior to this event, which would explain his presence in the first place. It is notable that the inspired author of Mark's Gospel, which is believed to be comprised of St Peter's post-resurrection preaching about Jesus in Rome, points out not only Simon's place of origin, Cyrene, in modern-day Libya - where there was a large Jewish community, as there was in most every city along the Mediterranean coast - but that he was the father of Alexander and Rufus (Mark 15:21). Presumably, Simon's sons would be known by the ancient Christians for whom this Gospel was written. Another feature of Mark's passion narrative that is worth noting is how the centurion, standing guard at Golgotha, where Jesus was crucified between two revolutionaries (the Lord would've also been seen, at least by the Jewish leaders if not by some of the Romans, as a dangerous revolutionary too, came to believe that he was "the Son of God" (Mark 15:39). On a straight-up reading, the centurion did not see or hear anything that could be described as a sign or a wonder. No, he came to believe that Jesus was the Son of God by witnessing "how he breathed his last" (Mark 15:39). How the Lord breathed his last was by invoking the words of Psalm 22: Eloi, Eloi, lema sabachthani?- "My God, my God, why have you forsaken me?" (Ps 22:2). In light of Christ's passion, death, and resurrection, I can only interpret our first reading from the Book of the Prophet Isaiah as telling us that, for Christians, victory most often looks like humiliation, defeat. God's love for us is undying because Jesus died and rose from the dead. 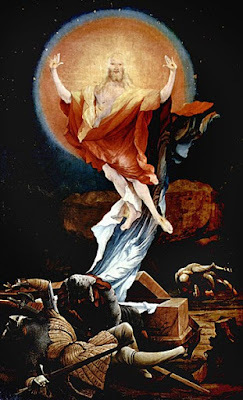 Or, as Pope Benedict XVI concluded his 2006 Easter Urbi et Orbi address: Christus resurrexit, quia Deus caritas est!- "Christ is resurrected because God is love!" These days Fridays are as busy, if not busier, than the other days of the week. This makes it difficult to post a traditio. Nonetheless, I am more determined than I give myself credit for being, especially when it comes to this little endeavor, which I have dubbed Καθολικός διάκονος. Yesterday, for reasons I won't go into, I was reminded of how weak and frail Christians are, especially when dealing with each other. I do not exclude myself from this judgement. In the context of Church, people often behave in ways that would be unthinkable in other contexts. I do not presume to know why this is the case, just that it is. I do know that such situations rattle the faith of everyone involved. Not infrequently, involvement in these kinds of things results in people just walking away, convinced that belonging to a parish, a congregation, participation in organized religion, is just not worth it. As a minister of Church I find this heartbreaking. Pastoral ministry is not for the feint of heart. Serving is often painful and grueling. It also often joyful and rewarding. I have no doubt that the Lord wants all his people to trust in him even as we make our often less than stellar efforts to imitate him in our love for one another. 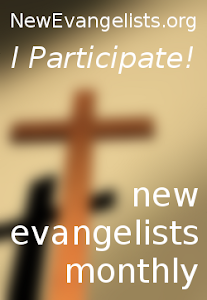 As we prepare to enter what is for Christians the holiest of weeks and observe our high holy days, I pray that everyone who celebrates the Lord's passion, death, descent into hell, and resurrection may be renewed by the Spirit and empowered to serve Him more faithfully in the world at time when witnesses of God's great love for us are so badly needed. May this Holy Week be a time of renewal for each of us individually and all of us together. Our very late Friday traditio is "The Great Commandment" by Camouflage. The great commandment, of course, is to love God with your entire being by loving your neighbor as you love yourself. May our participation in the Lord's passion, death, and resurrection be for us a re-education in love. In our first reading today God, through the prophet Jeremiah, promised to make a new covenant with his people, Israel (Jer. 31:31b). This new covenant would not be like the old one Israel consistently ignored and violated. The new covenant would consist of God forgiving their evildoing and remembering their sins no more (Jer. 31:34c). This new covenant can be described with one word: mercy. Mercy has no value if you don’t think you need it; this is as true of the do-gooder, who is convinced of her/his own goodness, or “good enoughness,” as it is of the hardened sinner, who makes no pretense of being good. In fact, the hardened sinner is dealing more in reality than the do-gooder, or the “good enougher,” which is why Jesus spoke of prostitutes and tax collectors being closer to God’s kingdom than those convinced of their own righteousness (Matt. 21:31). God has only ever sought to establish one covenant with humankind, the content of which is given us completely in our reading from Jeremiah today: “I will be their God, and they shall be my people” (Jer. 31:33c). God’s new and everlasting covenant, of course, is Jesus Christ. Our Psalm today is Psalm 51, known in the Christian West for centuries by its first word in Latin: Miserere. Miserere means to have mercy on. The Latin root of miserere is miser, meaning one who is wretched. For most of us, the iconic miser is Dickens's Ebenezer Scrooge prior to his Christmas epiphany. Using Christ as his lens, the Father looks with mercy on your wretchedness, your evildoing, and your refusal to love. For Christians, Friday has always been a day of penance. And so, each Friday Psalm 51 is the first Psalm of Morning Prayer. It begins with these words: “Have mercy on me, God, in your kindness. In your compassion blot out my offense. O wash me more and more from my guilt and cleanse me from my sin” (verses 3-4). It is fitting that we begin each Mass with the penitential rite, during which we ritually beat our breasts as we acknowledge that we have sinned in our thoughts and in our words, in what we have done and in what we have failed to do, through our own grievous fault - mea culpa, mea culpa, mea maxima culpa. The author of the Letter to the Hebrews, from which our second reading is taken, tells us that Jesus “learned obedience from what he suffered” (Heb. 5:8b). Uniting your sufferings to his is how you learn obedience from what you suffer. It is by uniting your sufferings to his that your suffering becomes salvific. It is important to be clear: only Jesus obeys the Father. Jesus accomplished in his own person what Israel was unable to accomplish throughout her history: to live in complete fidelity to God’s covenant by observing the Law. The Law, of course, was not an end in itself but a means to the end of loving God with one’s whole being by loving one’s neighbor as one loves one's self. Israel’s infidelity is no cause to be smug because the Church has proven just as capable of infidelity as ancient Israel. The paradox of the Church being sinful and holy at the same time led the great Church father Origen to call the Church casta meretrix - the chaste whore. If the Church is Christ’s Bride, then she is a frequently unfaithful one, but one who is not put away because of her frequent infidelities. Because of Christ’s obedience to the Father, "he became the source of eternal salvation for all who obey him” (Heb. 5:9b). There is no greater deception than to believe you can save yourself by being “a good person,” or a "good enough" person. Your goodness is only relative to that of other people and so is nothing compared to the goodness of God. "No one is good." Jesus insisted, "but God alone" (Mark 10:18). In his essay on Origen's phrase, Hans Urs Von Balthasar averred: “outside Rahab’s house, the Church, no salvation” (“Casta Meretrix” in Spouse of the Word: Explorations in Theology Vol. 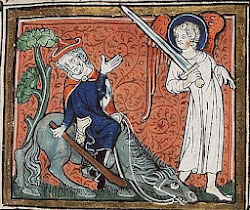 II, 217). Rahab, of course, was the harlot who lived in Jericho and helped the Israelites capture the city (see Joshua 2). According to St Matthew’s version of his genealogy, Rahab, along with Tamar, Ruth, and Bathsheba, is an ancestor of Jesus (Matt 1:3-6). It is worth noting that it was atypical for women to be named in ancient Jewish genealogies (Allison, “Matthew” in The Oxford Bible Commentary, 849). Obedience to Christ is the obedience of faith, not of works. This was brought home in last week’s Gospel when Jesus told Nicodemus, “just as Moses lifted up the serpent in the desert, so must the Son of Man be lifted up, so that everyone who believes in him may have eternal life” (John 3:14-15). This was made even clearer in last week’s second reading from Ephesians: “For by grace you have been saved through faith, and this is not from you; it is the gift of God; it is not from works, so no one may boast” (Eph 2:8-9). The kind of death Jesus died was a terrible, bloody, sweaty, painful, agonizing death. He willingly died this death to draw you to himself, to show you that Divine Mercy sets a limit to evil and sin in the world as well as in your own heart. Far from a sign of humility, believing that your sins are greater than God’s mercy is the height of arrogance. As we prepare to renew our baptismal covenant at the great Paschal Vigil, let us rely on nothing but the Father’s mercy given us in Christ Jesus, which mercy we experience by the power of their Holy Spirit. During this season of penance let us make use of the Sacrament of Penance, which is an extension of baptism, through which sacrament God re-affirms his covenant with us by forgiving our evildoing and remembering our sins no more. May the grace we receive through the sacrament give each of us the resolve to be ministers of reconciliation in a society so badly in need of mercy. 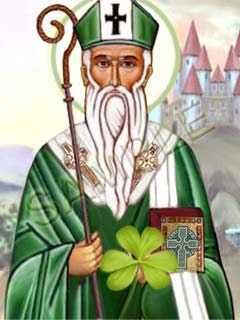 St Patrick (in Gaelic Pádraig) is a pan-Celtic figure. Hence, he does not solely belong to the Irish. Nonetheless, likely living in the fifth century, his life is more than a bit shadowy, which provides fruitful opportunity for myth-making and legends. Patrick, the son of a deacon, was most likely a native Welsh-speaker. It's easy to forget his story. He was captured and enslaved in Ireland. He escaped, went to France, was ordained a priest, and eventually returned to Ireland as a missionary. One cannot show greater love for former captors than sharing with them the love of God poured out for us in Christ Jesus, our Lord. In essence, St Patrick's Day is a religious day. If you use it as a reason to get piss-pants drunk, God bless you still, even though you've missed the point entirely, which is not to say, "Celebrate it like a Puritan." In any case, Venerable Matt Talbot, pray for us! Happy St Patrick's. I am still kicking myself for letting the feast of Dewi Sant (St David of Wales- 1 March) pass without posting anything. Every day is a great to be Celtic, even those days when I am afflicted by Wales's own Rowan Williams, referring to his own experience, called "the Celtic gloom." The two men I want to be like should I ever grow up are Rowan Williams and Owen Cummings. I love this version of Bob's 'Redemption Song,' featuring his son Ziggy (who I've seen live) with, who else?, The Chieftains! "So please, please, please ... Let me get what I want"
Our Friday traditio for this Fourth Friday of Lent is a beautiful cover of The Smith's song "Please, Please, Please (Let Me Get What I Want)" by Suzi & Alex. I have to say, I cannot love their version of the song enough. "Please, Please, Please..." is one of a number of Smith's songs I have loved for decades. Life is strange in that I am most dissatisfied when I don't get what I want and when I do. I can either remain frustrated and resign myself to settling for less, thinking- "I guess this is as good as it gets" - or see my perennial dissatisfaction as pointing me to something more, to what will satisfy me. Sometimes I am able to do the latter but I spend a lot of time grinding away at the former. When listened to from a Christian perspective it can be understood as a song of bedrock honesty. Too often, in my view, we are very pseudo-pious - I won't sully the word "pious," which is a good and important word but one that runs the risk of suffering the same fate as the word "righteous," which people now substitute for the word "self-righteous" - and so easily write, say, and pretend to pray the words Jesus prayed to the Father in the Garden: "not my will but yours be done" (Luke 22:42). If we're honest, much of the time our use of these words either comes close to or actually constitutes blasphemy. What we usually "say" in our thoughts, words, and by our actions, if not in our prayers, is: "So for once in my life let me get what I want." I am not chiding anyone. I am as guilty as the next person. It's a difficult thing, which is why we should use these words of Jesus much more sparingly. I am going to let this realization guide me through the rest of Lent and the Triduum. A prophet, a king, two anointings, the LORD as a shepherd, light, darkness, awakening, Jesus, a blind man, a washing, a healing, a warning of judgment- our readings for the Second Scrutiny of our Elect contain enough material to write a good-sized book! Maybe it will be an international best-seller. We can call it "the Bible," which means "the Book." Looking at Samuel's response to the LORD's prompting to head to Bethlehem to the house of Jesse in order to find and anoint Israel's new king, which was necessitated by Saul's, the current king, disobedience, we see that it was only after Samuel considered six of Jesse's seven sons that he found God's anointed in the seventh, that is, the least among them- even though, biblically-speaking, seven is the number of completeness or divine perfection. The episode we hear about in our first reading dramatically highlights the fact that God often (as in almost-always) chooses the least likely person to accomplish his purposes in and for the world. Of course, Jesus himself, the only begotten Son of the Father, is the ultimate proof of this divine tendency. Why does God work this way? In my view, it's so that there is no doubt that it is God who is at work reconciling the world to himself and not something done by human effort. In short, the people of God is and remains the original motley crew. Tiffany, Dahliana, Magnin, and Brennan, each of you has been called by the Lord from darkness to live in the glory of his magnificent light, which illumines you from within and is the very power of the Holy Spirit, who is the way our risen Lord remains present, not just to us, but in us until the consummation of all things at his glorious return, for which you need to stand ready by being ever watchful. Heed the apostle's exhortation: "Awake, O sleeper, and arise from the dead, and Christ will give you light" (Eph 5:14). My dear Elect, Christ has chosen you, which election was confirmed by Bishop Oscar at the Rite of Election we just a few weeks ago. 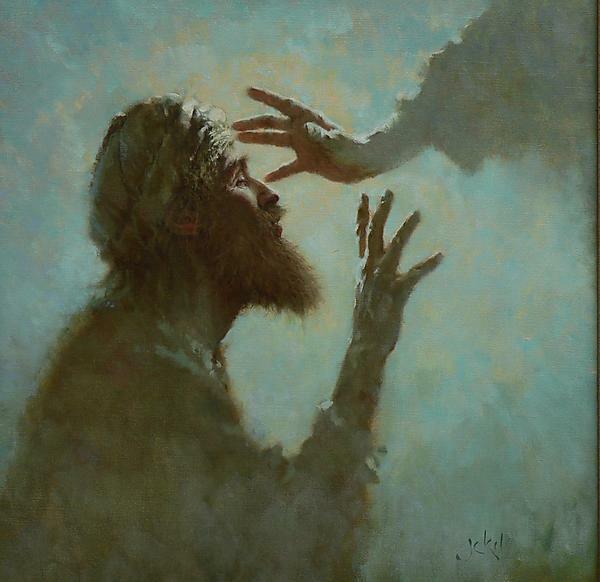 Like the blind man in today's Gospel, you are chosen so "that the works of God might be made visible through [you]" (John 9:3). You've done nothing to earn your election. Our lovely God is nothing if not gracious and gratuitous. Your chosen-ness, like David's, like mine, is a mystery. But we are chosen to bear witness to others about what Jesus has for us and to invite them to meet the Savior that they, too, might see more clearly. Again, like the blind man in today's Gospel, who immediately began to pay a price for being chosen (another of those great mysteries- that of the Cross), you will be washed in Baptism, anointed in Confirmation, and further drawn into the very life of God, who is Father, Son, and Holy Spirit, when you receive Christ in communion for the first time. Then you can truly say, "I was blind and now I see" (John 9:25). "Even if I made my bed in Hell/Still there You would find me"
Because yesterday afternoon and evening I did something I rarely do - go out with co-workers for some social time - I did not post a Friday traditio. Nonetheless, our weekly traditio was very much on my mind. 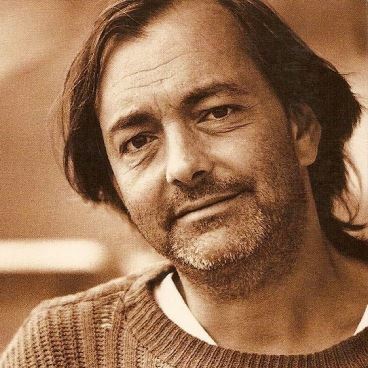 As I was straightening up our bedroom yesterday morning, I found my CD copy of the late Rich Mullins's last album: The Jesus Record. Mullins did not record this album in the studio. He only left behind very rough demos of the songs that comprise the album. But the album was substantially composed and complete at the time of his death. Rich recorded the demos in an abandoned church building on 10 September 1997, a mere 10 days before his untimely death in an auto accident. Conceptually, the album was to consist of songs about Jesus's life. He intended to call it Ten Songs About Jesus. After his death by a Ragamuffin Band consisting of Rick Elias, Mark Robertson, Jimmy Abegg, and Aaron Smith recorded the songs Rich left behind. There were numerous supporting musicians who pitched in on many of the songs. A double album, entitled The Jesus Record, was released by Myrrh records on 21 July 1998, just a little over 10 months after Mullins's death. The first of the two albums, The Jesus Demos, consists of those recordings Rich made in the abandoned church. The second album, recorded in studio by the Ragamuffin Band, featuring guest vocals by Amy Grant, Michael W. Smith, Ashley Cleveland, and Phil Keaggy, consists of the same songs and is called The Jesus Record. Lent and Advent are nearly always excruciating seasons for me. This Lent the Lord is reminding me that a great of my life and approach to life is penitential, perhaps too much so. In fact, I agonized over whether or not to take the rare opportunity to go out with friend/co-workers rather than come home and then go to church to participate in the Stations of the Cross, which we walk each Lenten Friday. It was listening to Amy Grant sing Rich's song "Nothing Is Beyond You" that made me decide to go out. I don't mind saying that listening to this song yesterday brought tears to my eyes. It reinforced that fact that I am never outside of God's love, even when I am miserable and find it difficult to love and even more difficult to let myself be loved. Or, as Mullins's put into lyrics: "And You'd cut through all my pain and rage/The darkness is not dark to You/And night's as bright as day." Not only would Jesus go to hell for you. He went to hell for you. Because at this Mass we are celebrating the first of three scrutinies for our Elect, we are using the readings from Year A of the Lectionary. These readings are geared towards Christian initiation. Since we are all preparing to renew our baptismal promises at the great Paschal Vigil, these readings speak to each one of us and all of us together. Our reading from the book of Exodus tells about when Moses, under great duress, struck the rock, making water flow from it to give drink to the parched Israelites and their livestock. Taking the near mutiny to the LORD in prayer, Moses said, "What shall I do with this people? a little more and they will stone me!" (Ex 17:4) Thirst in the desert, it seems, was getting the better of everyone. After striking the rock with his stick and making water flow from it, Moses named this place "Massah and Meribah, because the Israelites quarreled there and tested the LORD, saying, "Is the LORD in our midst or not?'" (Ex 17:7). Our responsorial Psalm, Psalm 95, is the Psalm with which the Church traditionally begins the Liturgy of the Hours each day. "Today listen to the voice of LORD, do not grow stubborn as your fathers did in the wilderness, when at Meribah and Massah they challenged me and provoked me although they had seen all of my works." Massah is Hebrew for "the place of testing" and Meribah is Hebrew for "the place of strife, or of quarreling." So, by opening each day with Psalm 95, the Church, the people of God, are invited to remember what the Lord has done for us, which remembrance eases our anxiety about the present and the future. Commenting on Mary's encounter with the Archangel Gabriel in his book Jesus: A Pilgrimage, Fr Jim Martin noted that during the Annunciation, which solemnity we will celebrate on 25 March, Gabriel, in convincing the Blessed Virgin, called to mind what God had already done. Martin pointed to Gabriel reminding Mary that her cousin Elizabeth, the mother of John the Baptist, had conceived a child despite, like Sarah, being beyond child-bearing years, saying, in effect: "You have doubts about what God will do? Then just look at what God has already done." Looking backward helps Mary to look forward. "Awareness leads to trust" (39). It's interesting in our first reading that, while the people invoke being led out of Egypt, attributing their being led out to Moses, not to God ("Why then did you bring us up out of Egypt? To have us die of thirst with our children and our livestock?" Ex 17:3), Moses does not remind them that is was God, not him, who delivered them, nor does he bring to mind the many signs and wonders that were part of their deliverance. Our reading from St Paul's Letter to the Romans is an exhortation to hope. Of the three theological virtues (faith, hope, and love), hope is the least understood. While one who hopes aspires to something not yet realized, hope is distinct from mere wishing. Hope is the flower of faith and love is faith’s fruit. Hope, far from being a mere wish, is attained through experience. The hope we have, which can be described as thirst, "does not disappoint, because the love of God has been poured out into our hearts through the holy Spirit that has been given to us" (Rom 5:5). 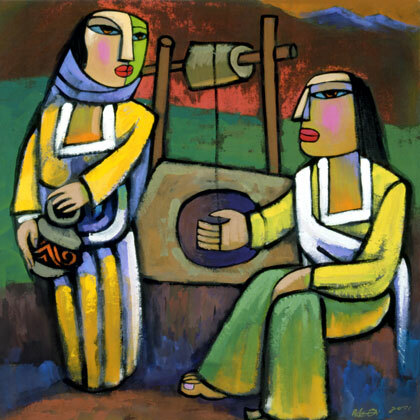 In our Gospel this morning, which tells of Jesus' encounter with the Samaritan woman at the well of Jacob, what the woman said to the Lord indicates that Jews and Samaritans, while closely related, did not like each other very much. Usually, Jews going from Galilee, from where Jesus hailed, to Jerusalem, rather than walk the direct route through Samaria, by-passed this region by going east and walking along the west bank of the Jordan River to Jericho and from there heading up the mountain to the Holy City. The mere fact that Jesus, along with his (clearly very uneasy) disciples, is passing through Samaria, is no small thing in and of itself. The unusual nature of this episode is further brought home when Jesus begins to speak, not only to a Samaritan but to an unaccompanied woman, two things an observant male Jew would assiduously avoid! This woman went out to fetch water, not at the usual time, toward evening, but at midday, presumably a time she knew she would be alone. Likely due to her having been married five times and currently living with a man who was not her husband, she was viewed as a bit of a hussy, someone to be shunned by decent people. Not only did our beautiful Lord not shun her, he engaged her. He did so by appealing to what it was she was really thirsty for- unconditional acceptance, life-giving love. His pastoral skills are unmatched. He offered her the water that will slake her deep, existential thirst, the water that becomes in the one who imbibes "a spring of water welling up to eternal life" (John 4:14). She eagerly accepted it. Jesus then bids her go fetch her husband, which occasions her oblique confession, "I do not have a husband" (John 4:17). Upon this admission, we see Divine Mercy at work when Jesus said to her, in what I can only imagine with the greatest of tenderness: "You are right in saying, 'I do not have a husband.' For you have had five husbands, and the one you have now is not your husband. What you have said is true" (John 4:17-18). My friends this is very good news: the Lord knows everything about you and still loves you with an infinite, deep, passionate love that you cannot comprehend. While Jesus takes you as you are, He is not content to leave you where He found you. If you were fine, why would you feel so unfulfilled? Why would you bother being here today? Jesus is leading you to the fulfillment of what you truly desire - "the life that is truly life" (St Augustine, Letter to Proba). As a result of her encounter, the Samaritan woman was clearly changed. Jesus revealed to her that He is the Messiah, the one for whom both Jews and Samaritans awaited, the one in and through whom God would no longer be worshiped either on Mount Gerazim or in Jerusalem, but be worshiped by true worshipers, being temples of God's Spirit, anywhere and everywhere. 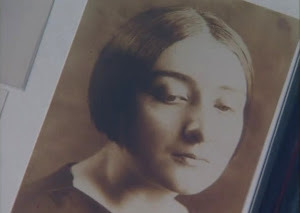 Like those who also encountered the Lord up close and in person, she could not keep it to herself, she was compelled by love to tell others what Jesus had done for her. Jesus invites our Elect - Tiffany, Brennan, Dahliana, and Magnin - to the water. Specifically, to the water of Baptism. He invites you not only to drink but to be immersed in the very life of God, who is Father, Son, and Holy Spirit. As a result, you are to worship God in spirit and in truth, witnessing to what God has done for you in Christ by the power of their Holy Spirit. He gives this living water, which is His very self, freely to all who desire it. Your presence here today is an expression of your desire. You must never forget what led you here. Remember always not merely what the Lord has done for you, but the particularity of how He did it, this is especially important when life seems impossible and when you find yourself starting to thirst. Addressing the recent letter from the Holy See's Congregation for the Doctrine of the Faith (CDF) to Catholic Bishops "On Certain Aspects of Christian Salvation," Placuit Deo, I dealt only with one of the two ways, according to the letter, that salvation in Christ Jesus is distorted. The two ways the CDF identified as distorting salvation in and through Christ, used with proper caveats and as a kind of doctrinal short-hand, are "Pelagian" and "Gnostic." In both my initial post and the follow-up, I wrote about what the CDF referred to as the Pelagian distortion. This morning, while praying the Office of Readings (something I usually only do during Lent), the second reading was from St Ambrose's treatise "On Flight from the World." 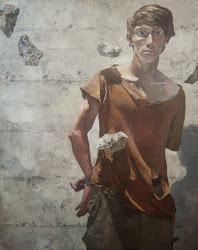 I am sure both the title of Ambrose's piece and having Placuit Deo fresh in mind, I detected at least a hint, or a tendency, towards the Gnostic distortion. According to Placuit Deo, the Gnostic distortion of the Christian understanding of salvation holds that true liberation, true salvation, occurs when one's "spirit" or "soul" is freed from the body and from material reality, both of which are viewed as coarse and constricting. Like the secular aspect of the Pelagian distortion, the Gnostic distortion has a secular variant as well as many religious variants, including "Christian" ones. The fundamental issue with a Gnostic understanding of salvation is that it dismisses the importance of Christ's bodily resurrection, the fruit of which is the Christian belief that Christ will return and raise us from the dead. Is the Lord, by his Holy Spirit, not present in the world? 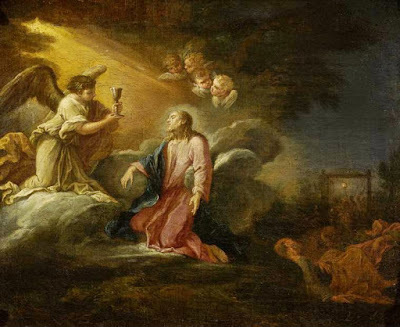 Is he not present, by virtue of the sacraments, especially the Eucharist, in you? Is God not at one and the same time immanent and transcendent? Christ is the concrete universal. I also recently finished Rowan Willams's treatment of Cyril of Alexandria in his book The Wound of Knowledge. 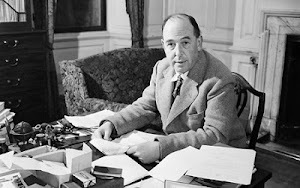 Of course, it was Cyril who was serious about the idea of the Christian Gnostic, which, at least in some respects, has something to recommend it. 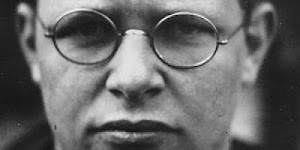 I prefer Bernard Häring's The Christian Existentialist, which prioritizes the imminent over the transcendent without doing away with the transcendent, the concrete over the abstract, etc. For better and for worse, Platonism and Gnosticism, over which Platonism had a large influence, were and remain part and parcel of Christian theology. St Augustine, for example, while he forsook Manicheanism, held fast to Platonism. 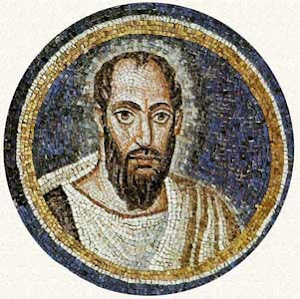 This is why Augustine viewed sexual relations even between spouses, when in engaged for enjoyment, what the Church, since Humanae Vitae, has recognized as the "unitive" dimension of conjugal relations, was merely a remedy for concupiscence and a safeguard against the greater sin of adultery. Anyway, now I feel like I've done Placuit Deo blogging justice, which, at least according to many, is no justice at all. Almost immediately after my last post a Crux News article from early last November came to my attention: "Salvation is free, not a ‘pay to save’ deal with God, pope says.". I think this homily of the Holy Father's is enlightening in terms of the Congregation for the Doctrine of the Faith's Placuit Deo: To the Bishops of the Catholic Church On Certain Aspects of Christian Salvation. As noted in my previous post, the document warns against two erroneous ways of understanding salvation in Christ. 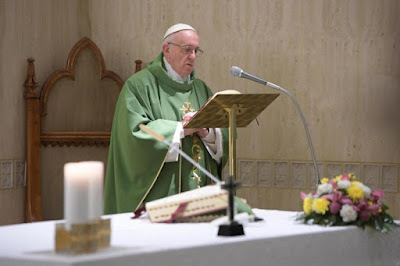 A Christian who complains of not receiving a reward for going to Mass every Sunday and fulfilling certain obligations 'doesn’t understand the gratuity of salvation,' the pope said Nov. 7 in his homily at Mass in the Domus Sanctae Marthae. Why would anyone understand Mass as anything other than entering more and more deeply into the divinely-initiated dynamic of gratuity? In other words, participation is its own reward. What a rich reward it is! It is not what God will do for you because he's done an incomprehensible "amount" for you in Christ. Christ himself is the gift of eternal life! Another, perhaps more secular way, of understanding salvation in what Placuit Deo calls a Pelagian manner is to think, "I am a good person. Therefore, God will save me." Not only is this presumption, it also implies that you're going to save yourself. This, too, is a way of refusing to enter into the dynamic of gratuity. In fact, believing you save yourself is to utterly refuse to enter into this dynamic altogether, preferring a pay-as-you-go approach. It's difficult to believe we're already in the third month of 2018; tempus fugit. I had a good intention of posting one more time by the end of February but that intention fell victim to busy-ness. But then blogging not only is not a full-time job, I don't even attempt to make remunerative. Whatever I have to offer I offer for free. This also helps me keep blogging in perspective. Now in my twelfth year of putting up posts here on Καθολικός διάκονος I have learned to pace myself. One of the ways I have done that is by not chasing current events. This is not to say I don't or won't post on issues of the day whenever I think I have something to say worth passing on. Most recently, I posted on my opposition to hate crimes laws. Prior to that, I posted at the beginning of the #MeToo Movement. Without a doubt, these days the news provides ample material to go on about. Flying home this morning from a business trip, I took the opportunity to re-read the Holy See's Directory for the Ministry and Life of Permanent Deacons. This seminal document on the diaconate was promulgated jointly with papal approval by Congregations for Catholic Education and Clergy just over 20 years ago, on 22 February 1998. The word "ideologies" is used three times in the document. The first time "ideologies" is used the Directory makes it clear "Deacons are strictly prohibited from all involvement with political parties or trade(s) union movements which are founded on ideologies, policies or associations incompatible with Church doctrine" (sec. 13). Next, the Directory points out that deacons ought to "strive to serve all the faithful without discrimination, while devoting particular care to the suffering and the sinful. As ministers of Christ and of his Church, they must be able to transcend all ideologies and narrow party interests, lest they deprive the Church's mission of its strength which is the love of Christ" (sec. 38). 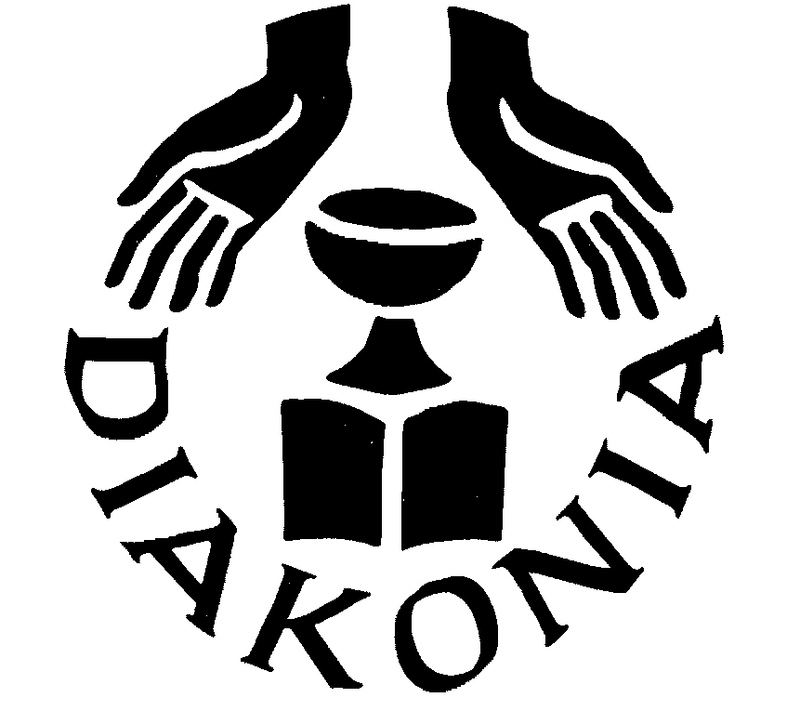 Finally, the Directory notes that deacons are to grow in the love of Christ for humankind, which love "surpasses all ideologies — is thus an essential component of the spiritual life of every deacon" (sec. 49). So, while I am not forbidden from expressing my views on the news of the day, as a deacon, I must be careful in how I do that and do it through my understanding of the Gospel as expressed by the Church's magisterium and for the sake of the Gospel. 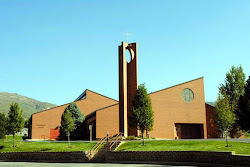 For example, pointing out that more firearms, which has been empirically proven to lead to more violence, given that violence, especially lethal violence, is contrary to the Gospel, is not an ideological viewpoint, which is why it is a viewpoint expressed by individual bishops and by the United States Conference of Catholic Bishops. But I agree with those who insist that a steady diet of political commentary from a member of the clergy compromises not only the witness of that cleric but potentially, at least for some, the message of salvation in Christ. While I am on the subjects of magisterial documents and salvation, the Congregation for the Doctrine of the Faith, on 22 February 2018 (22 February being the universal Feast of the Chair of St. Peter), promulgated, again with papal approval, Placuit Deo. This document is a note to bishops "On Certain Aspects of Christian Salvation." It warns against two contemporary tendencies when it comes to human destiny. These two tendencies, with important caveats, are identified as Pelagian and Gnostic. The Pelagian tendency, which, believe it or not, is rather prevalent in advanced Western societies that are quite secularized, holds that you attain salvation by and through your own efforts. Without a doubt the most prevalent variant of this, "I will be saved ('go to heaven') because I am fundamentally a 'good' person." The Gnostic tendency, which is also quite widely spread and often by many who also hold a Pelagian view. Gnosticism understands salvation as something achieved when the spirit is "freed" from the constraints of the body and the material world. The Pelagian view has no need for the salvific sacrifice of our Savior, Jesus Christ. Gnosticism either explicitly or implicitly rejects the bodily resurrection, which means rejecting Christ's own rising from the dead and/or its effect on us (i.e., we will also be bodily raised from the dead).